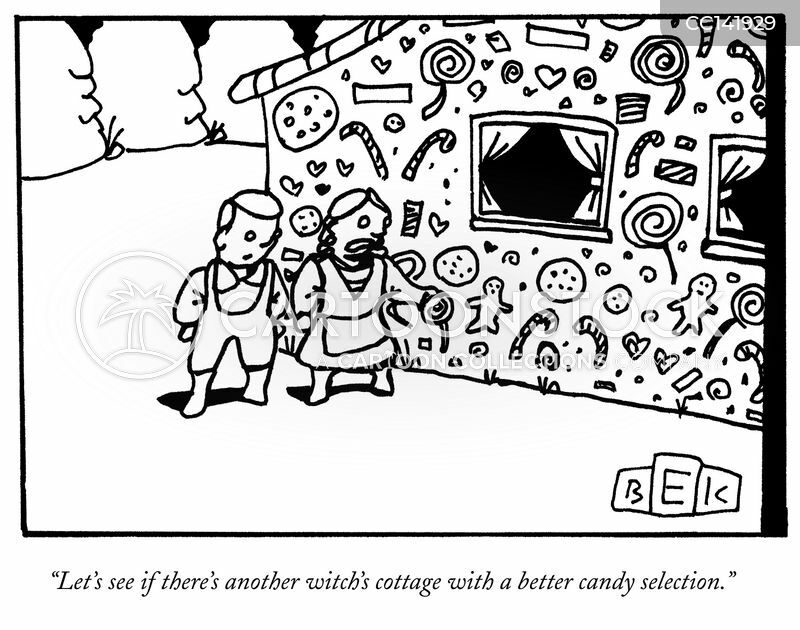 Witch's cottage covered in drugs. 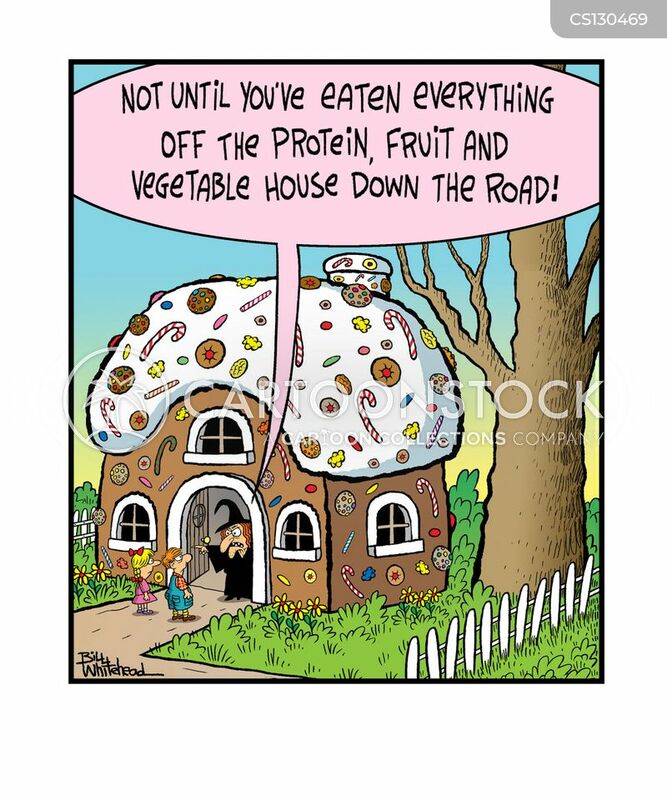 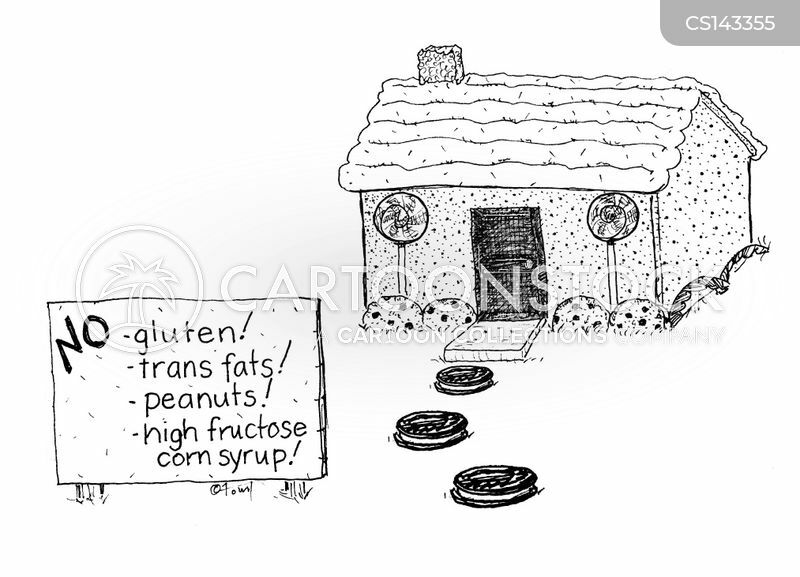 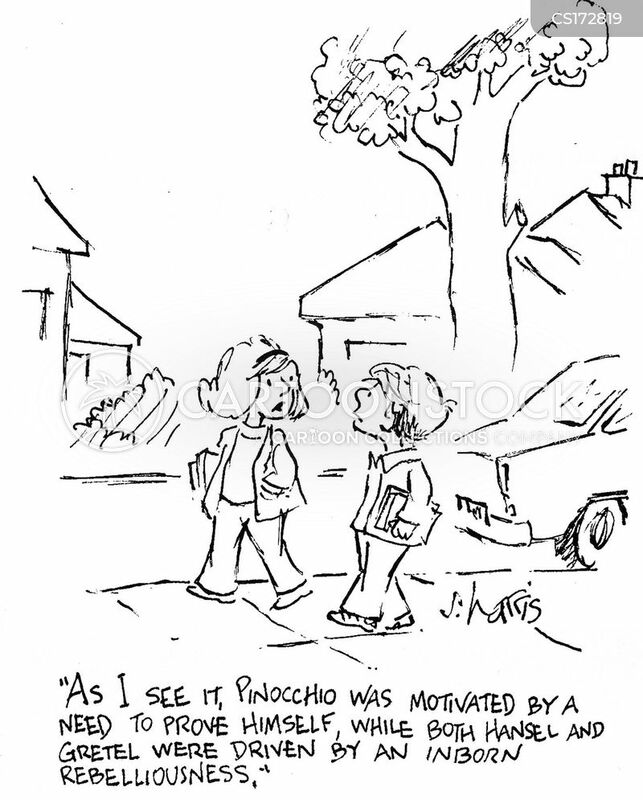 "Not until you've eaten everything off the protein, fruit and vegetable house down the road." 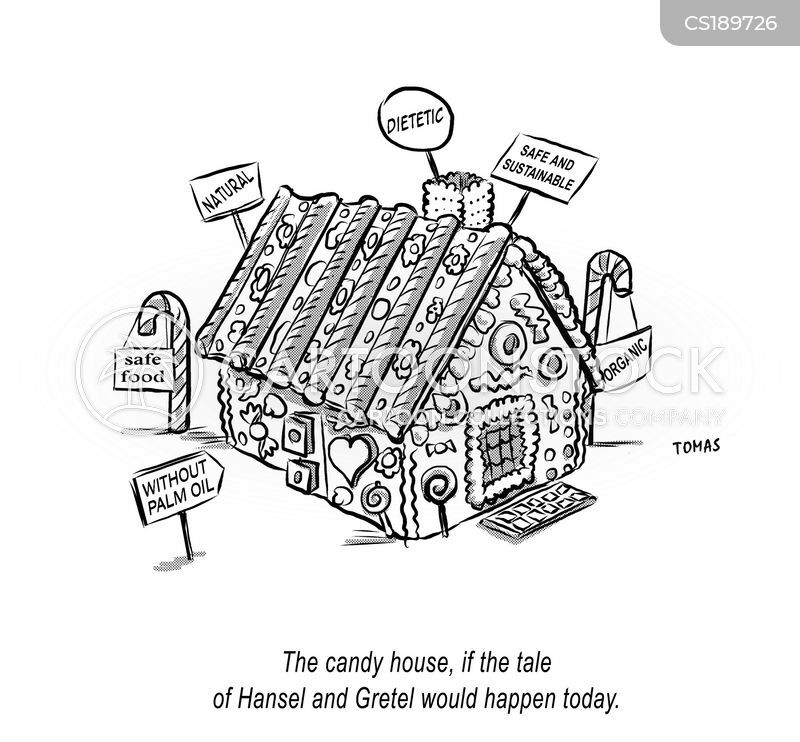 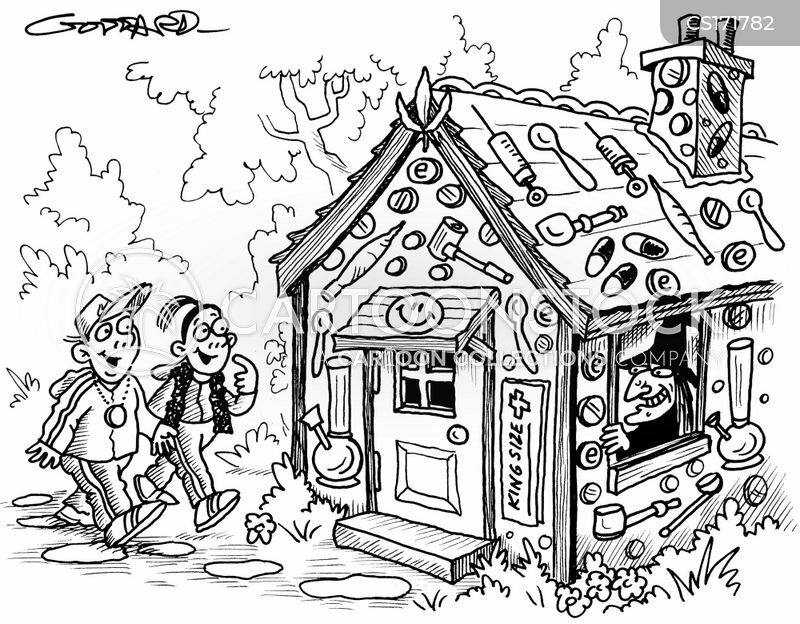 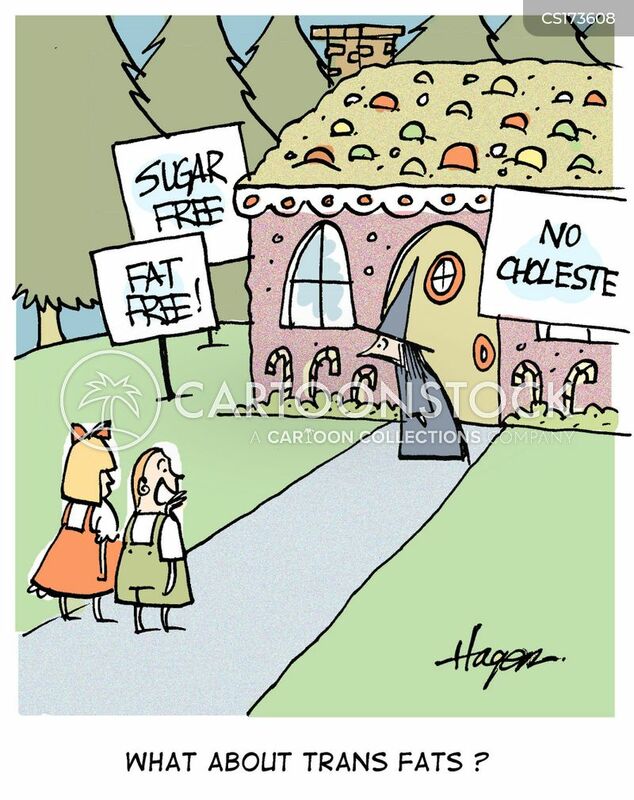 The candy house, if the tale of Hansel and Gretel would happen today. 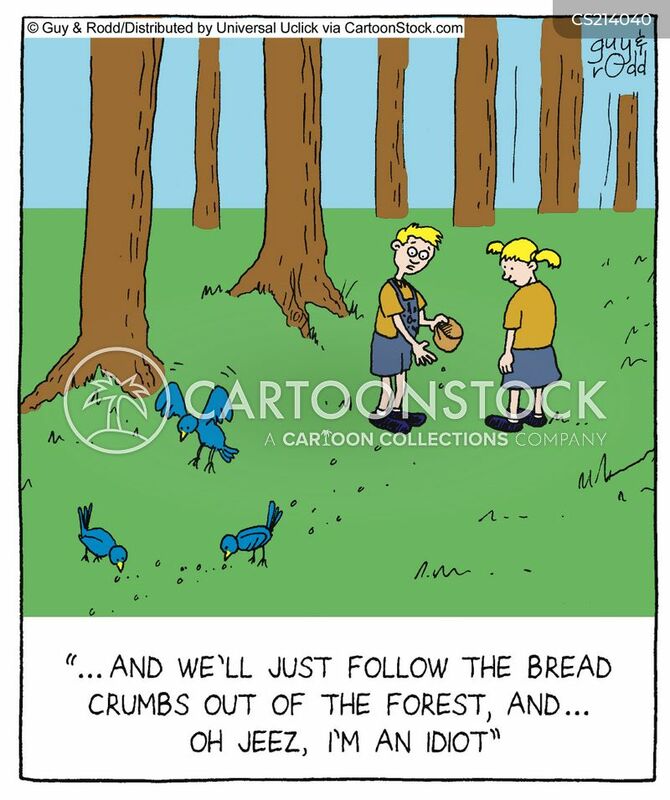 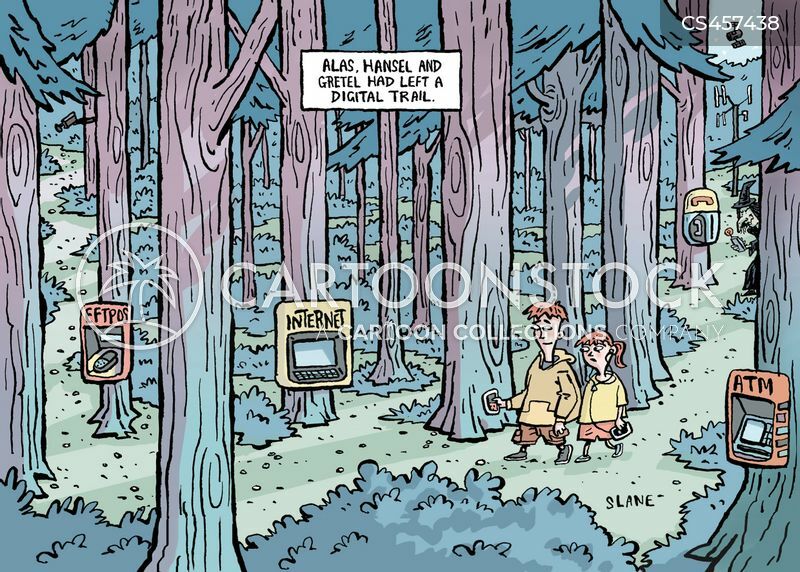 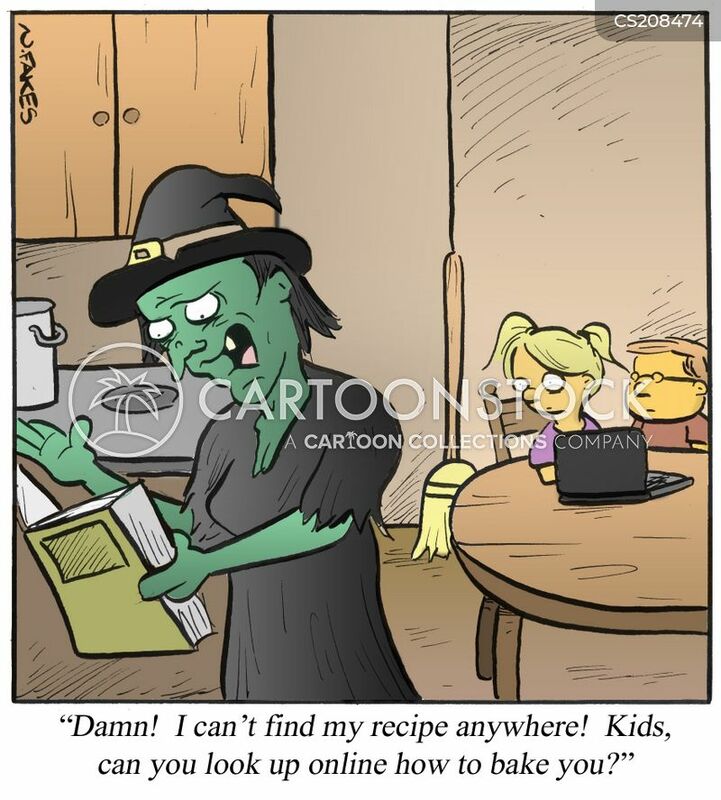 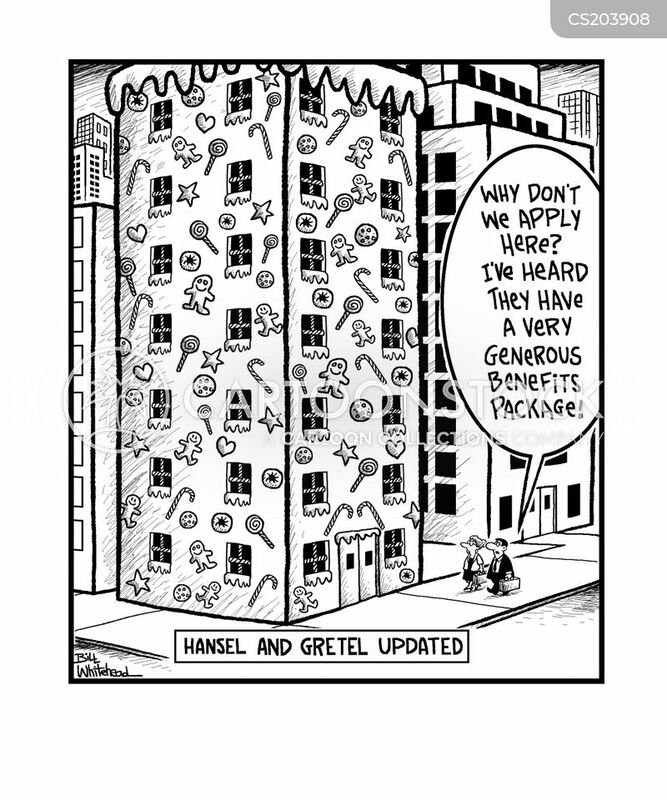 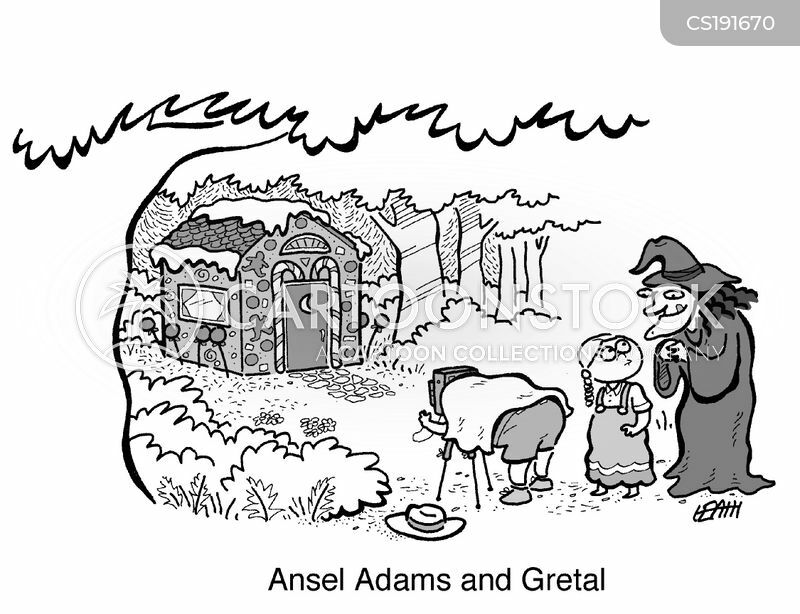 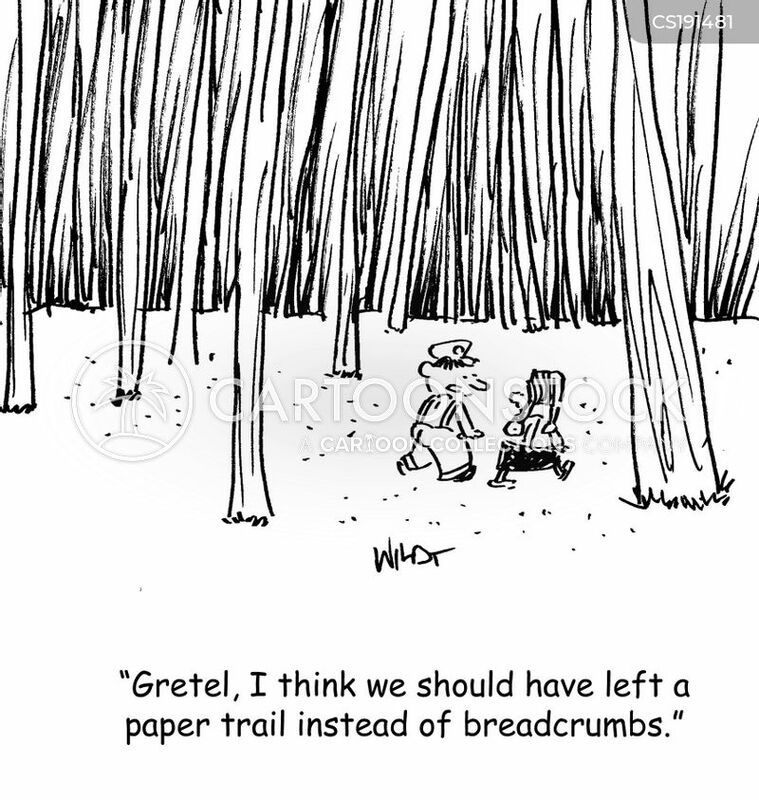 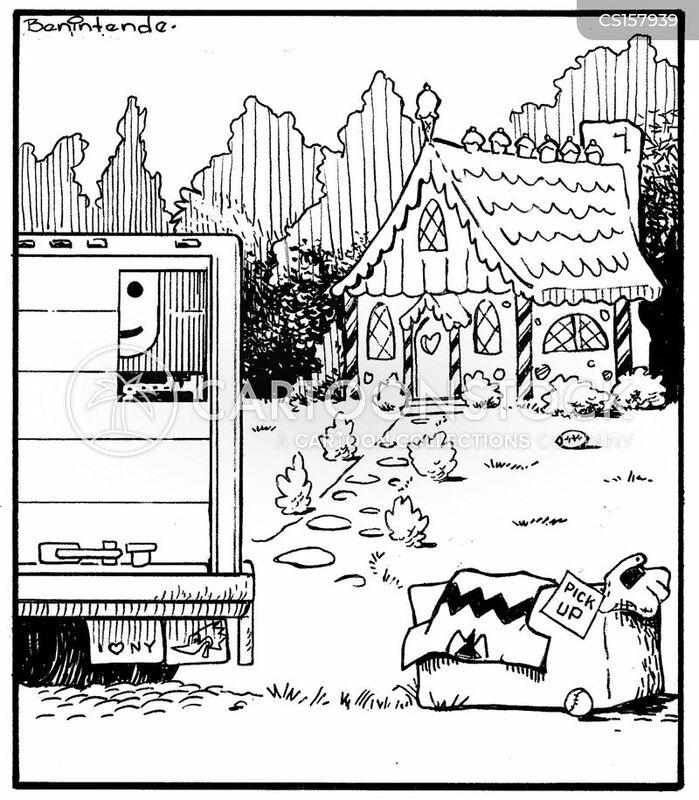 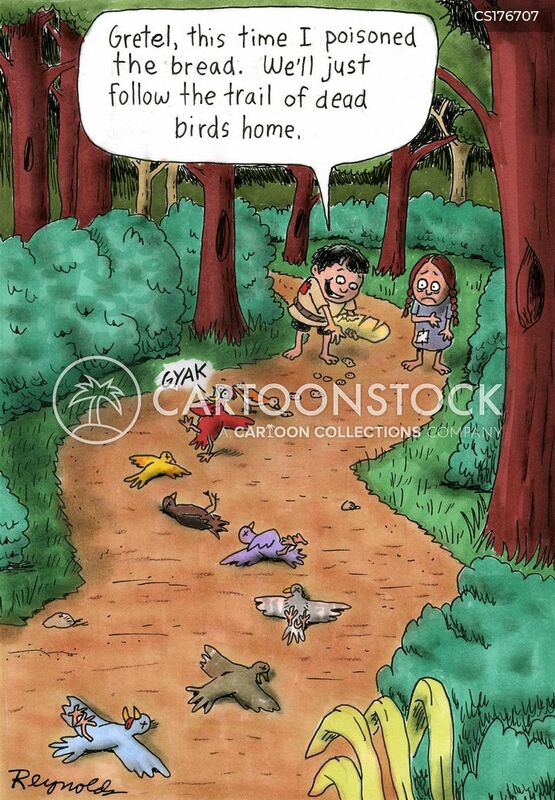 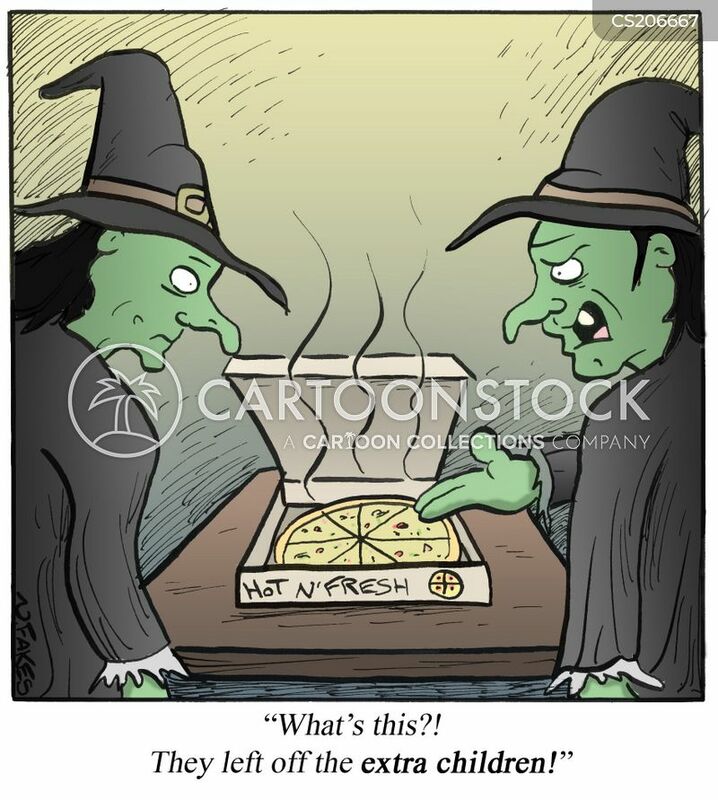 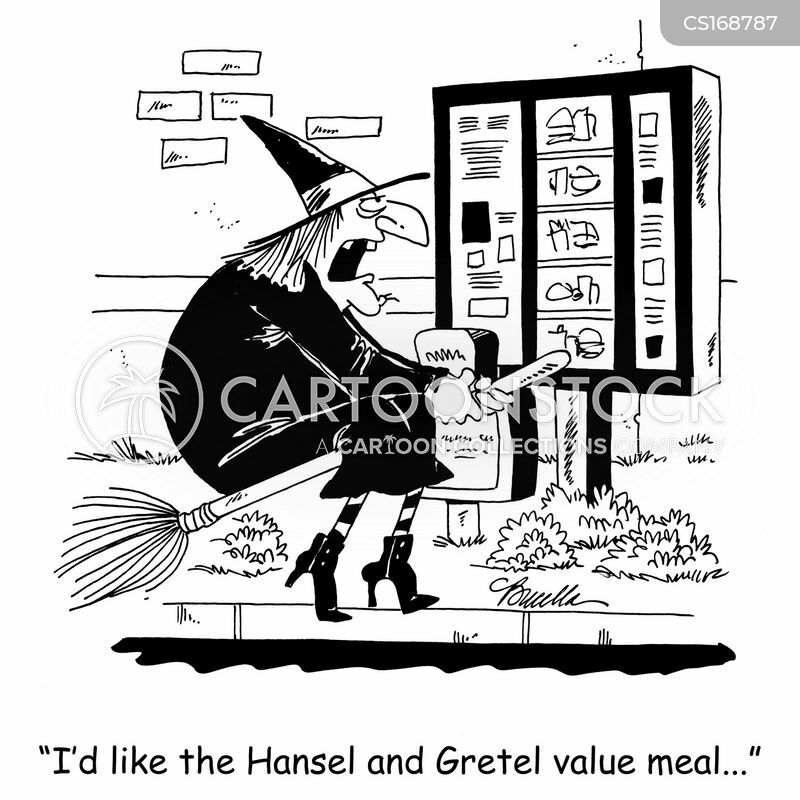 "Gretel, I think we should have left a paper trail instead of breadcrumbs." 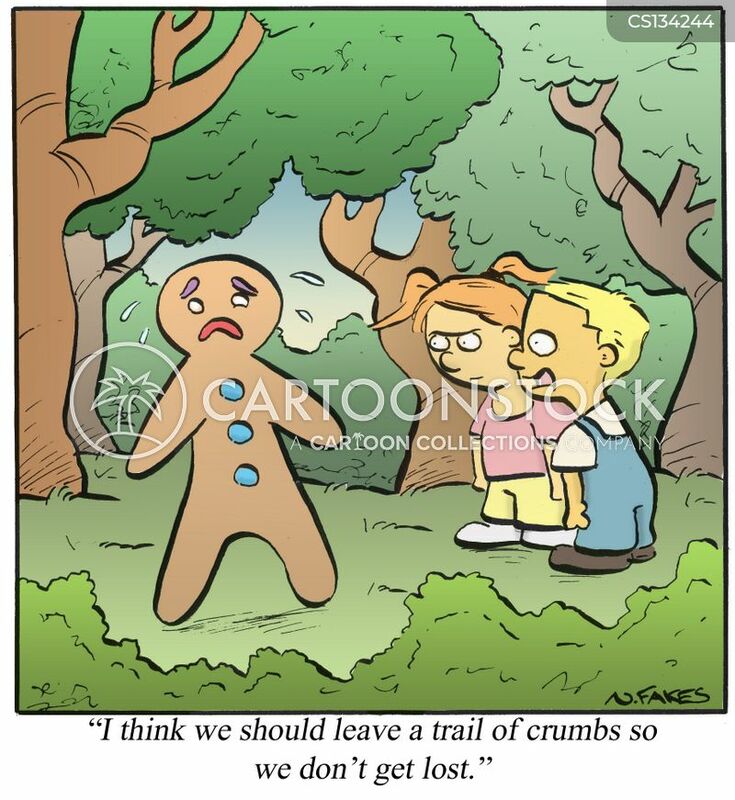 "Lady... 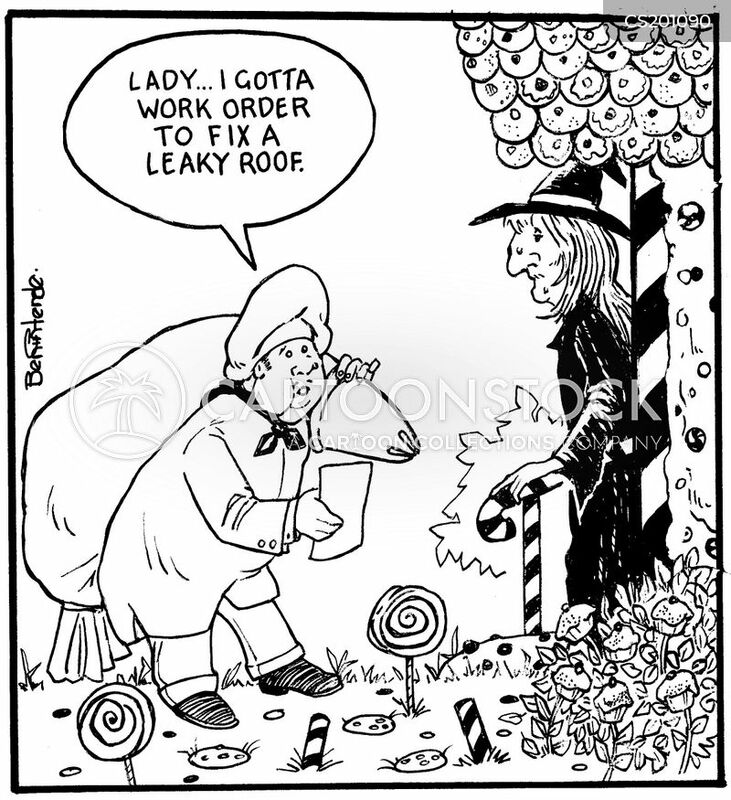 I gotta work order to fix a leaky roof." 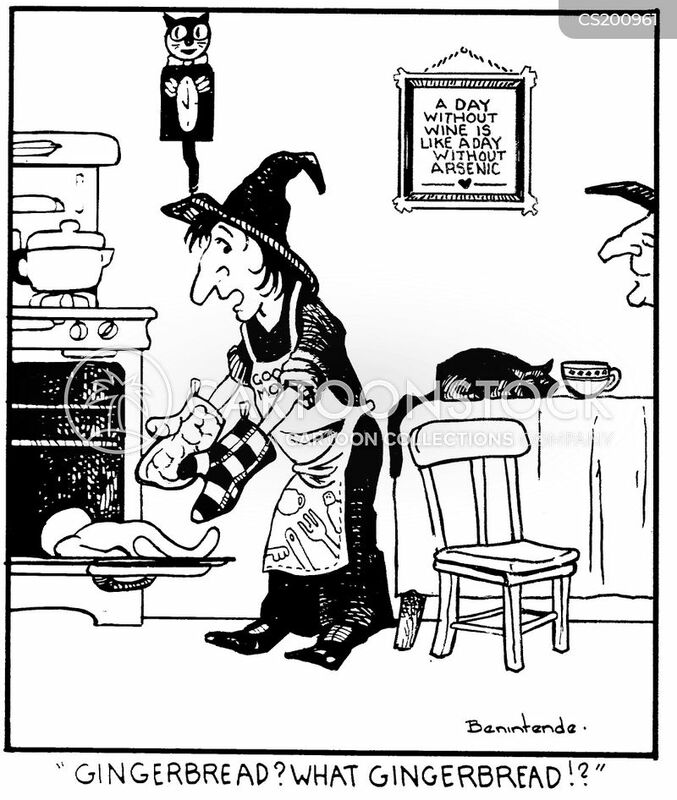 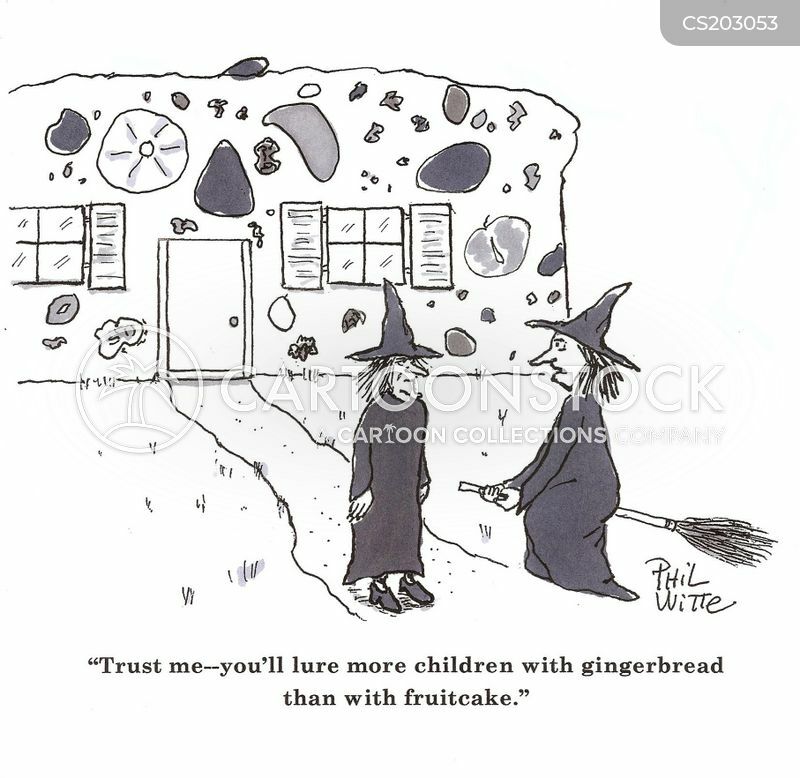 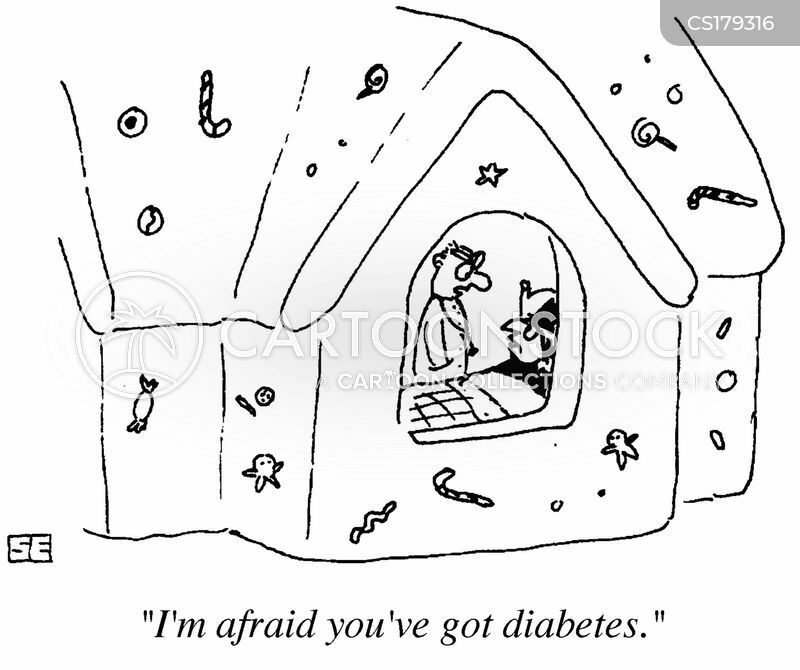 "Trust me - you'll lure more children with gingerbread than with fruitcake." 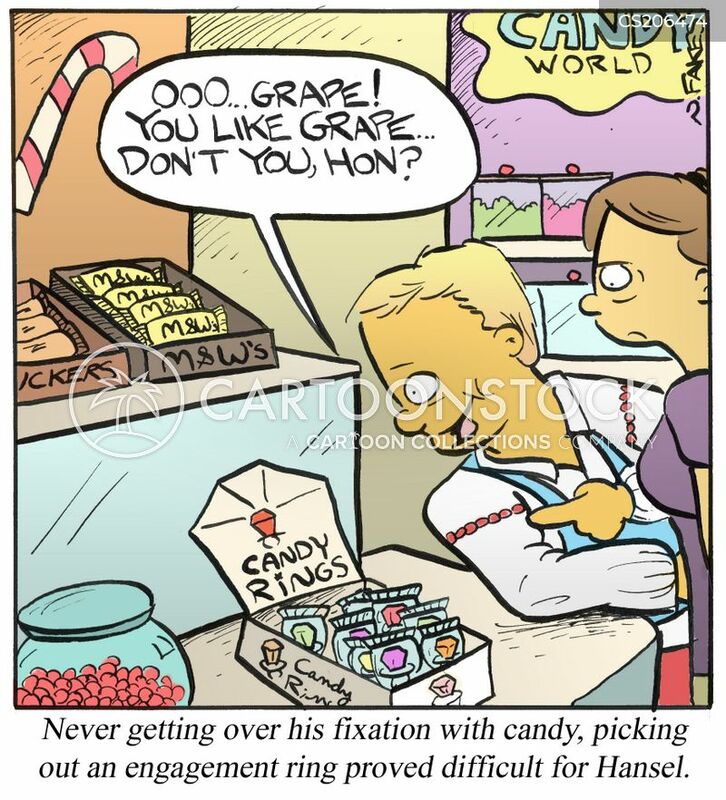 Never getting over his fixation with candy, picking out a engagement ring proved difficult for Hansel. 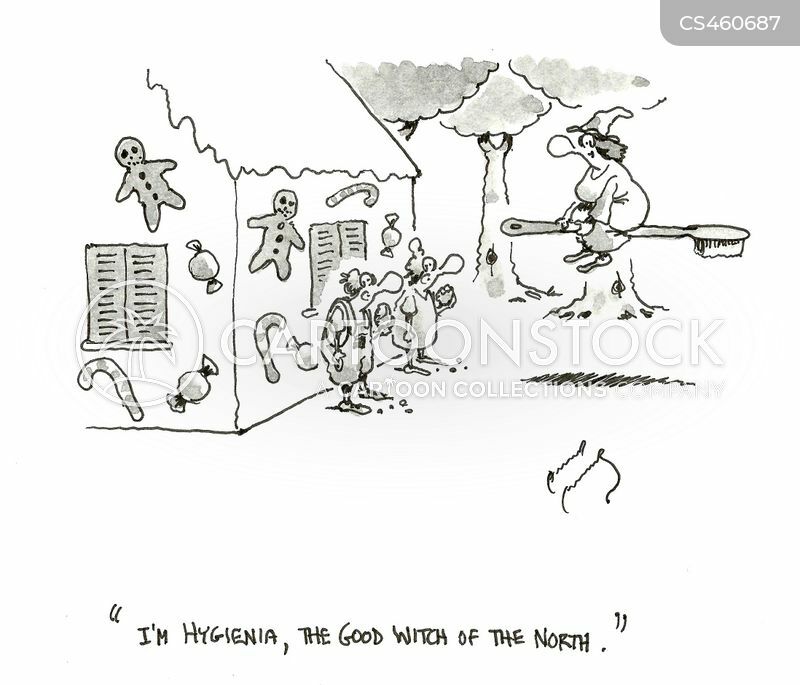 "I'm Hygienia, the good witch of the north." 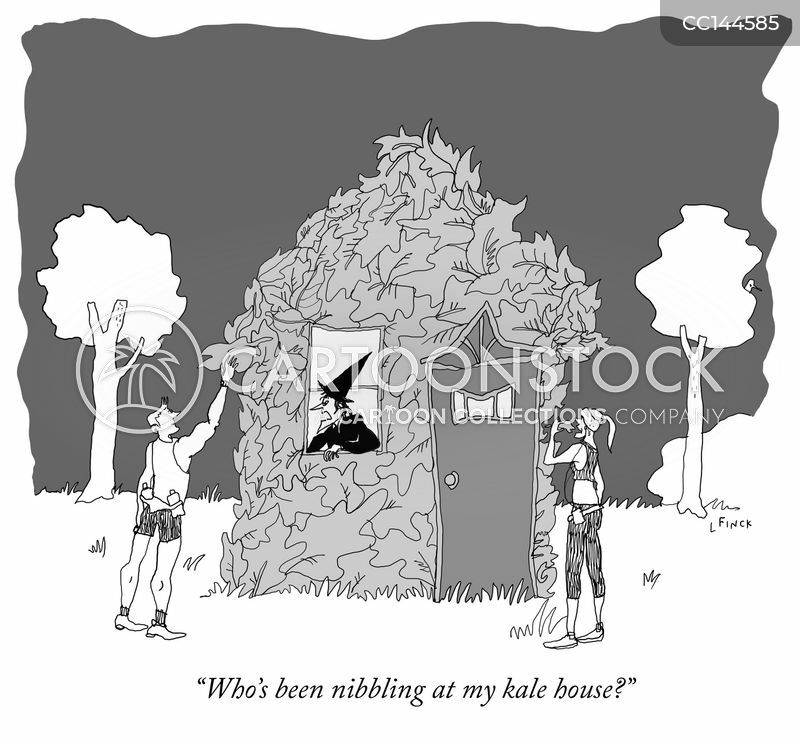 "Who's been nibbling at my kale house?"